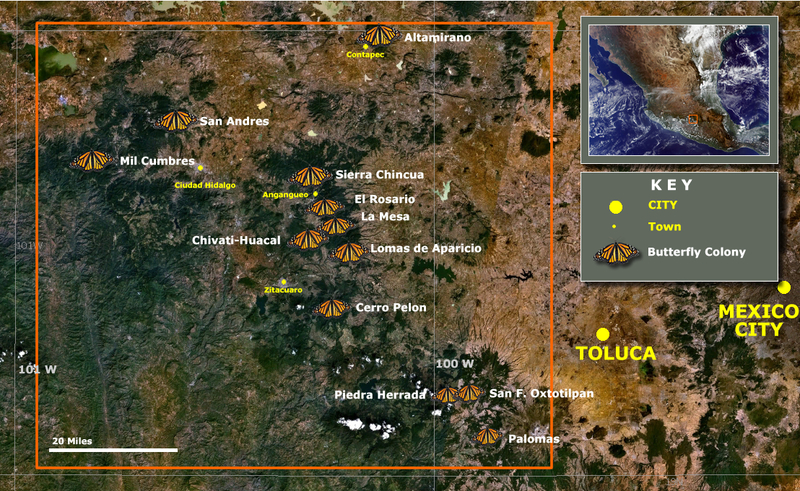 Scientists cheered today at a press conference in Mexico City when this year’s official monarch population estimate was announced. 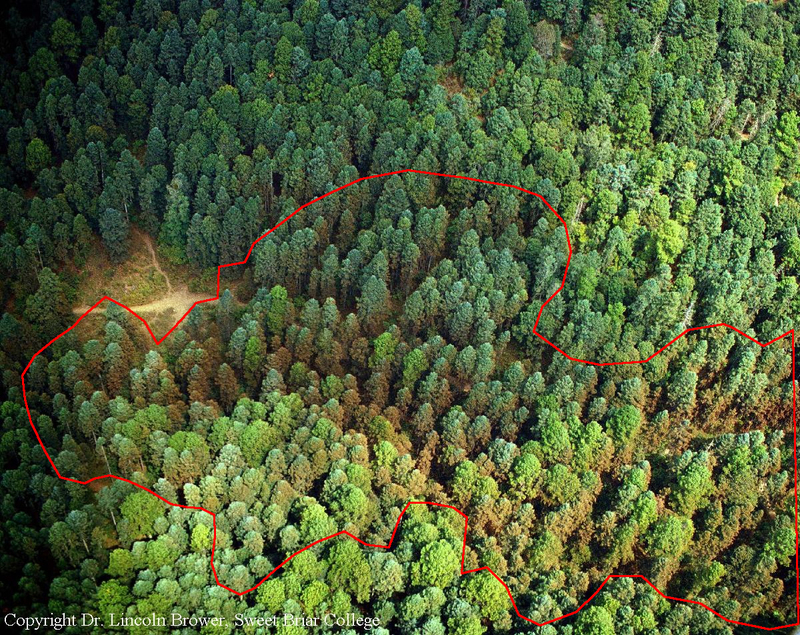 The clustering butterflies cover 14.9 acres (6.05 hectares) of forest, the highest recorded since 2006 and an increase of 144% from last winter. 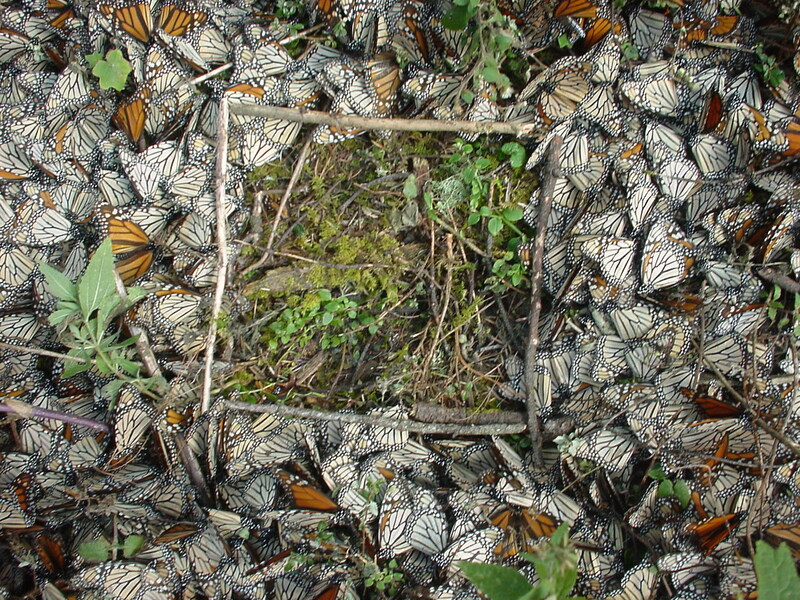 The annual measurements are made at Mexico’s overwintering sanctuaries every December and are considered the annual ‘report card’ on the status of the monarch population. The population has been on a downward trend for the past decade, and fell to a record low of 1.65 acres (0.67 hectares) in winter 2013-2014. 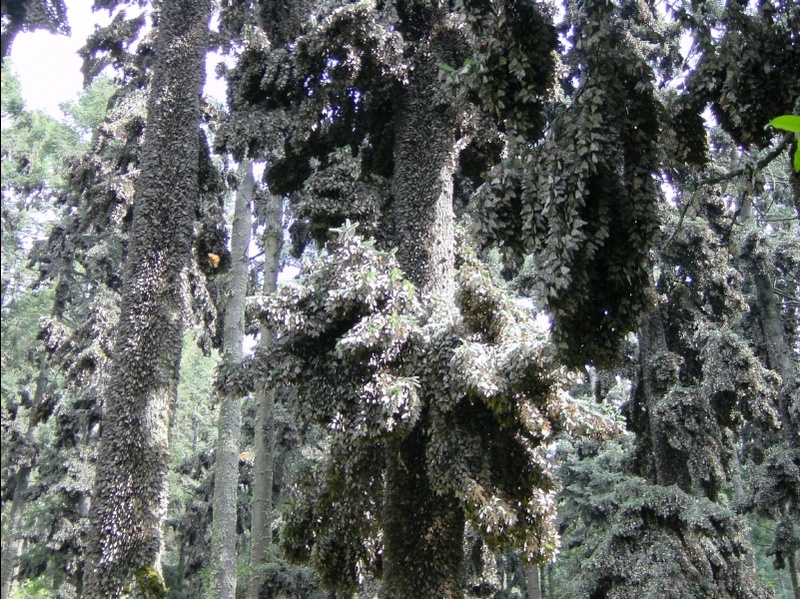 The target for monarch recovery is a sustained population of 15 acres (6 hectares). 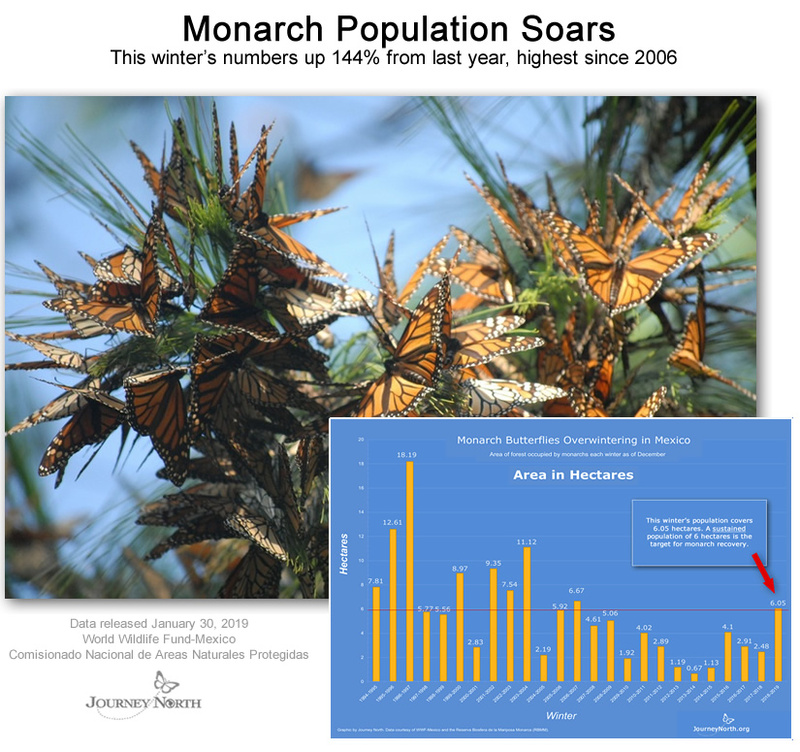 So while year's 6.05 hectares is welcome news, the monarch population fluctuates up and down naturally (see graph). 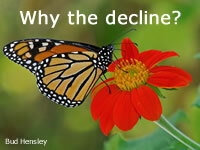 Thus, monarch habitat must consistently produce higher numbers of butterflies than the levels seen during the past decade. Monarch numbers are down and people are wondering why. 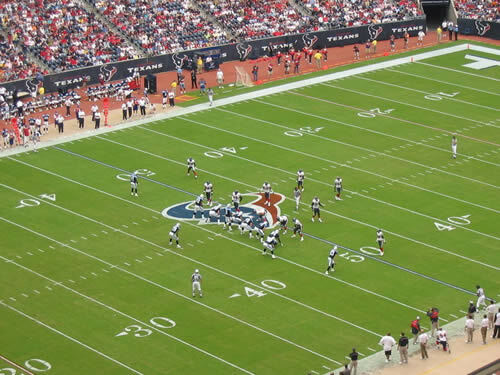 This article examines the factors that caused the decline during the past year and the downward trend over the past decade. Also, see how you can help.